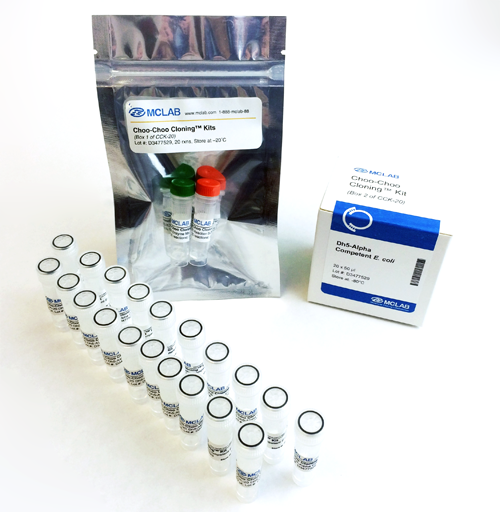 The Ab cloning RACE kit provides a novel method for performing both 5' and 3’ rapid amplifications of cDNA ends (RACE) with optimized primers for cloning both of heavy and light chains of human and mouse antibodies, respectively. MCLAB's SmartRT reverse transcriptase is an engineered MMLV RT with increased thermostability, improved cDNA synthesis ability; and a reduced RNase H activity. The enzyme also has a terminal transferase activity. This tailing activity (terminal transferase activity) of the SmartRT reverse transcriptase allows to synthesize complete cDNA by SMART (Switching Mechanism At 5' end of RNA Transcript) cDNA synthesis technology. With 3'-5' extra nuclear acids added to the 3' end of the first-strand cDNA, 5’ SMART universal oligo contains terminal complementation to nuclear acids at 3' end of the first-strand cDNA can be annealed to first-strand cDNA tail and serves as an extended template for RT. The switch of template from mRNA to 5’ SMART universal oligo produces a complete cDNA copy of transcript RNA with 5’ SMART universal oligo at the end. The cDNA transcript from smarter RT can be used for directly in 5’ and 3’ race with MCLAB I-5™ 2X High-Fidelity Master Mix. 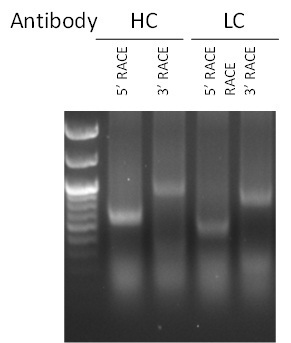 Our 5’/3’ Race kit is optimized for antibody cloning. It also can be used for any gene of interest. 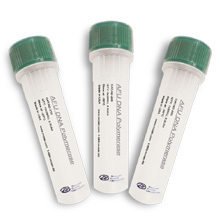 Figure 1.The RACE ready cDNA was synthesized from 1ug of total RNA from hybridoma cells using the Ab cloning RACE kit. 4 ul of cDNA were used for 5’ and 3’ RACE PCR. The gel image shows the amplified antibody heavy chain and light chain cDNA.